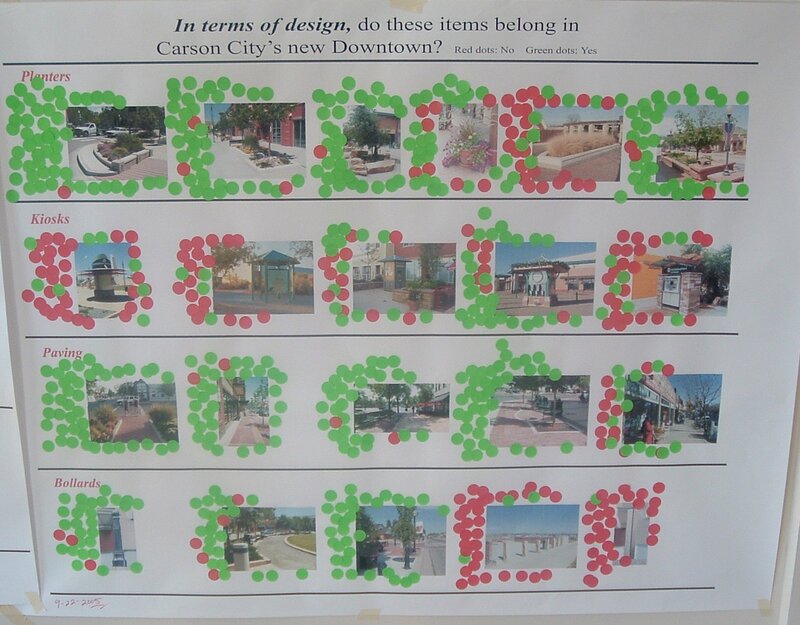 What they did have was a lot of places for people to leave comments, and a lot of places for you to vote on what you do and do not want to see in the Carson City of the future. 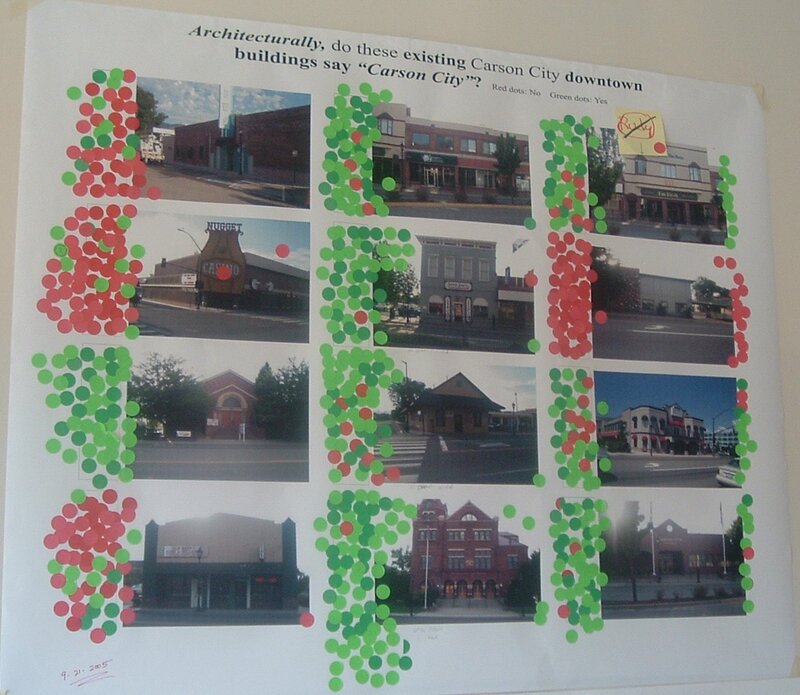 One board was full of Post-Its with public comments, other boards had write-in ideas, and there were posters with pictures of buildings and design elements, both from Carson and other towns. 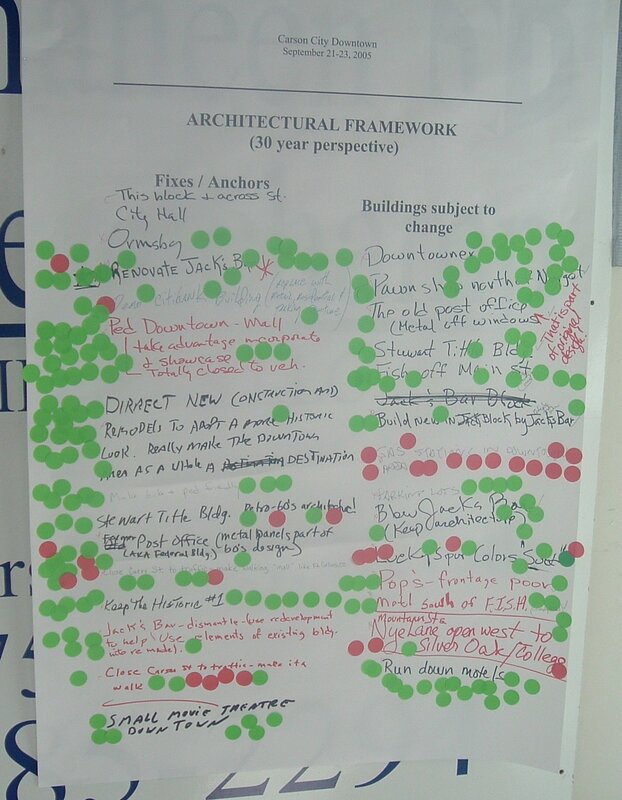 And everybody who walked in was given red and green dots to stick on these suggestions. A green dot was a yes vote, and a red dot was a no vote. Most of the decisions seemed to be landslides, one way or the other. 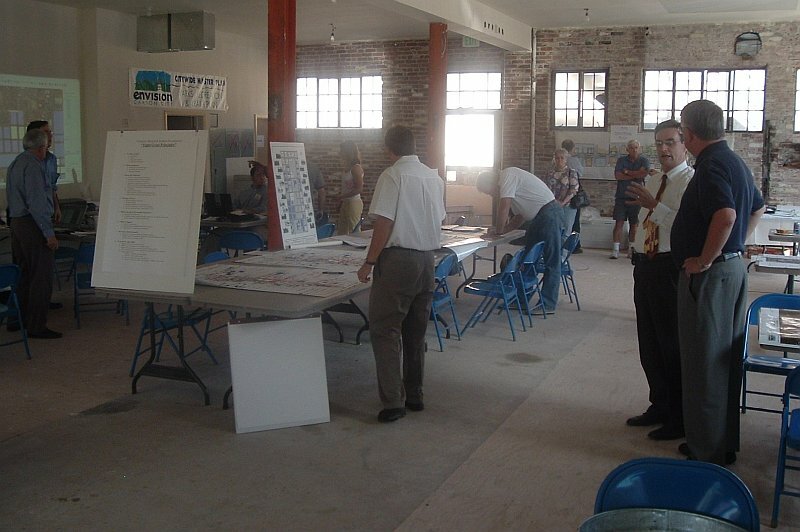 Thursday night all the votes were tallied and the suggestions noted, and a public meeting was held to start finalizing plans for the future. There is an article on the Thursday evening meeting at the Nevada Appeal, and of course Dave Morgan of NewsCarsonCity has video coverage. Since he doesn’t have permalinks to his story, here’s a direct download link to the video (WMV, 4:11, 10.4MB). And now I’m just going to shut up and show you a bunch of high-res pictures I took of the different displays, so you can read through them and see where Carson City’s votes are going. Click through each thumbnail for a huge version. A Regulatory Conflicts/Stumbling Blocks sheet. 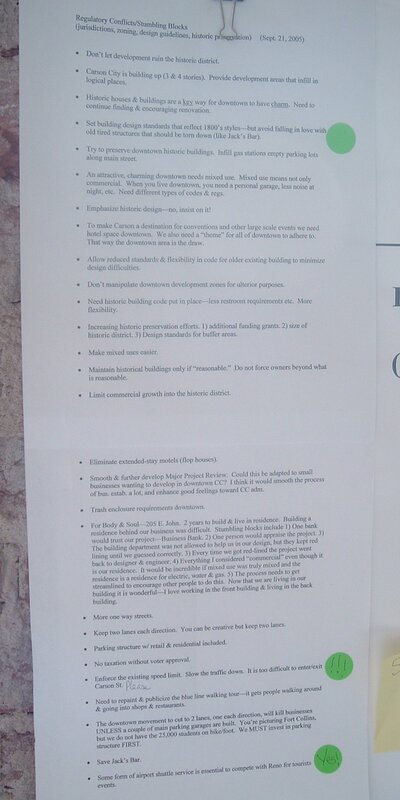 Obviously typed up in advance, but these look like public comments from some meeting. We’ve got comments in here both for and against tearing down Jack’s Bar, as well as calls for more parking structures and keeping Carson Street four-lanes. Those four-lane advocates seemed to be in the minority, though. 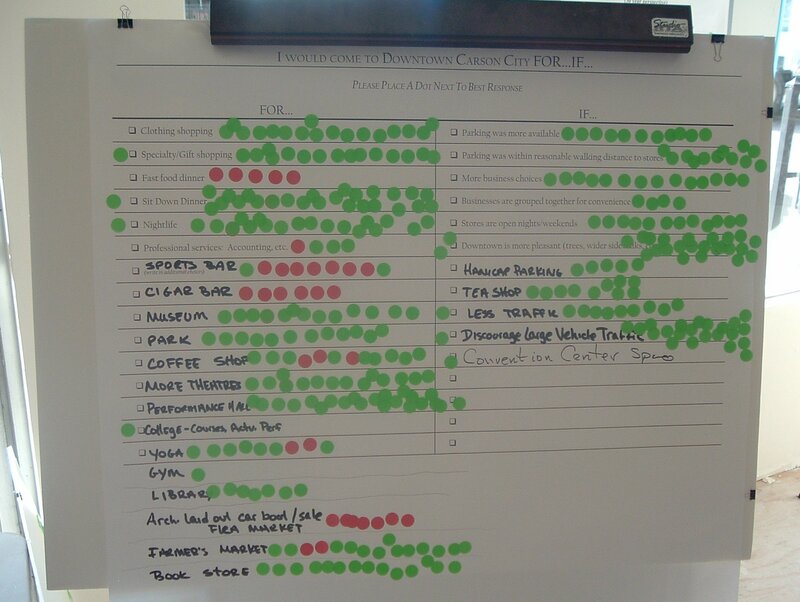 This board shows that people don’t want fast food, cigar bars or sports bars downtown. But a new sports bar (Stew’s) just opened in the old Lucky Spur this summer, and the cigar bar behind B’Sghetti’s always seems to be well-visited. So what do they really want? “Architectural Framework”, buildings that people want to see changed. The only clear “no” here seems to be a downtown gas station. 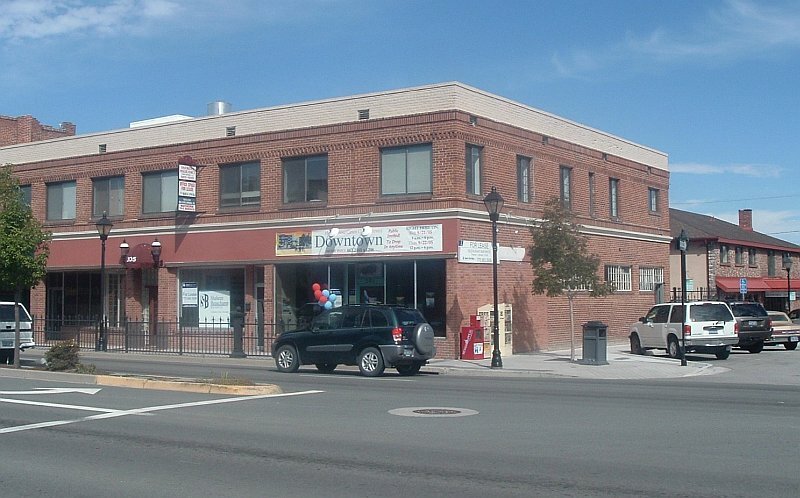 There are a lot of “no”s here, for Hard Rock Cafe and Tahoe-style chalet buildings. People seem divided on the modern brick-and-stucco look, though. This section should be called, “Do You Hate this Building?” The Nugget, the Downtowner Motel, and Stew’s Fantastic Turquoise Facade are the clear losers. Different styles of planter, kiosks, and paving stones. Modern-looking kiosks sure aren’t popular. This is probably the most fascinating picture. 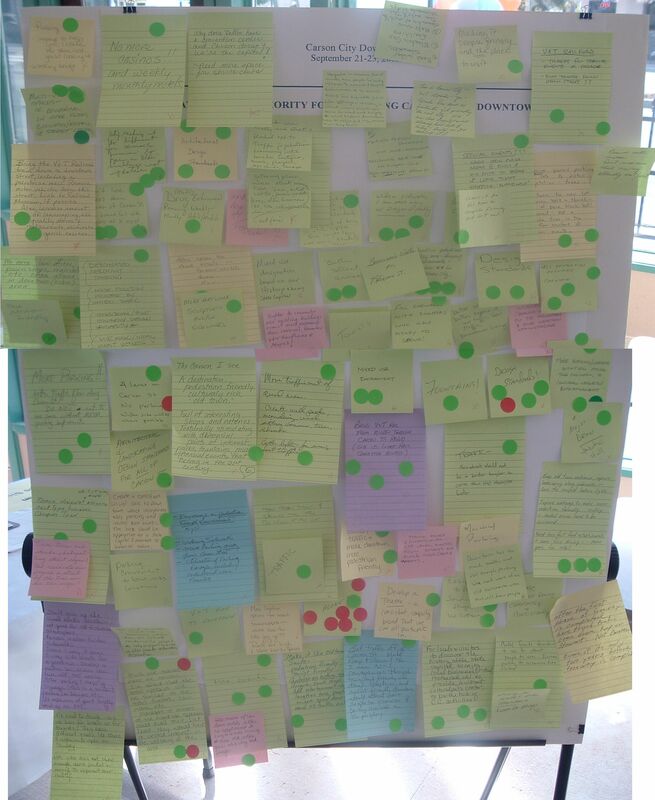 This was the public comment board where anybody could write something on a Post-It and put it up. I suggest you click through to the big version and read through these ideas. We’ve got no-brainers like, “Fill sidewalks with shoppers who have money to spend!” We have one-word demands like “Tourists” and “Fountains!” We have people who want the V&T Railroad to be fully restored to Minden, Virginia City and Reno (with light-rail commuter trains). And there are people expressing nervousness about “low income dwellers” moving into downtown. A lot of interesting comments here. 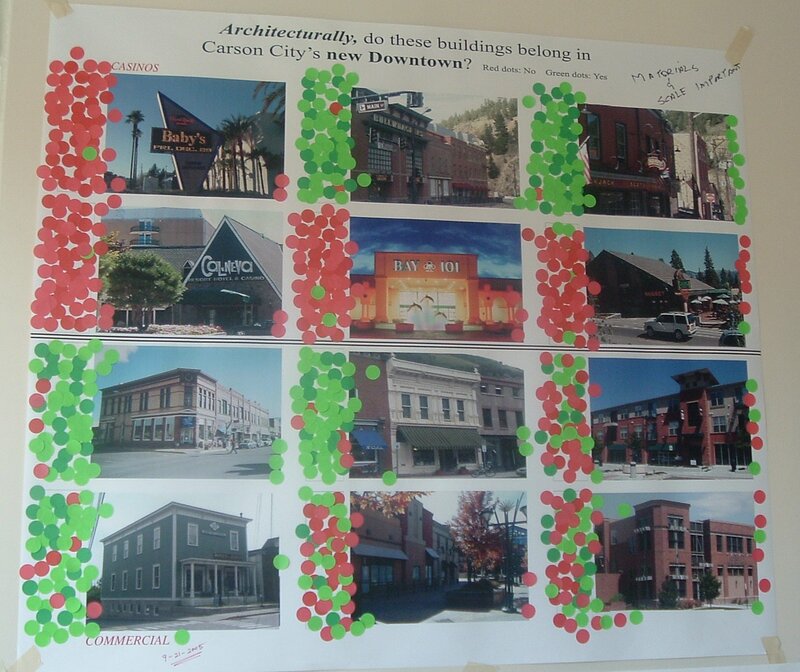 What do you want downtown Carson to look like? Leave your comments on this post, or discuss at the Around Carson Forums.